Reel Talk Online: Women's History Month Vintage Review: Angela Bassett in "What's Love Got to Do With It?" 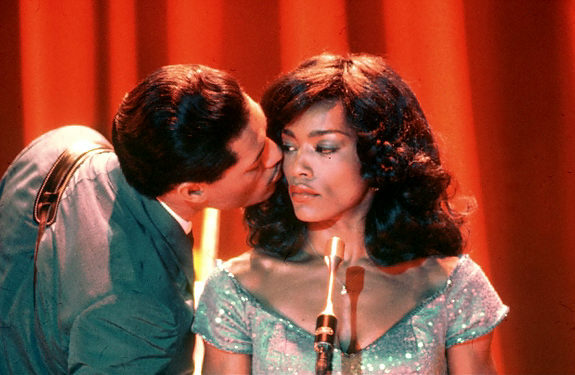 Women's History Month Vintage Review: Angela Bassett in "What's Love Got to Do With It?" Angela Bassett is one of those actresses who could breathe life into any role, no matter how flimsy—from her role as the matriarch of the Jackson family in The Jacksons: An American Dream to playing the wife of a slain political leader in Malcolm X. One could attribute that talent to the power in her delivery, the depth she gives to every line, and the gut-wrenching emotion she brings to every character. 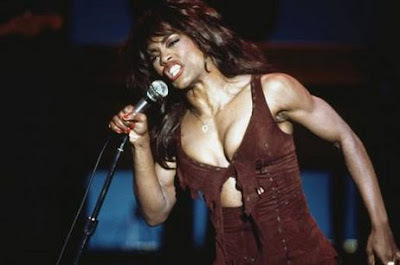 But it is her star-making turn as rock and roll superstar Tina Turner in 1993’s What’s Love Got To Do With It? that catapulted her to the A-list. Complete with the rock star wigs, superhero body and slightly timid but ever so deliberate snarl in her speech, Bassett embodied the icon during her slow and steady rise to fame, and her tumultuous marriage to late musician Ike Turner (Laurence Fishburne). It was her piercing portrayal of Tina that also contributed to the evolution of women roles in cinema, and one which still arrests audiences almost twenty years later. Bassett turned what could have been a whimpering, damsel in distress character in the hands of a lesser actress into a strong, unflinching woman worthy of admiration and one so memorable that it became a model for nuanced female characters for years to come. Because of Bassett’s performance, a new crop of fans could appreciate how a woman could be seen as more than merely a survivor, but a hero to her generation. And we’re not only talking about the female generation, or the African-American generation. We’re talking about a star whose undeniable talent and wicked charisma helped shaped the face of rock and roll, regardless of age, color, creed and gender. It wasn’t an easy feat to step into Tina’s studded stilettos, but Bassett was able to humanize the icon. She showed the world some of the lowest points in Tina’s life, and turned them into a promise, a promise to her fans that she was going to overcome all of it to remind us all of how great she is. It was an exceptional cinematic tribute to a woman who touched the lives of many, and showed that even though she might have been victimized by her abusive husband, Tina was never a victim. It’s a fine line to walk, but Bassett’s diligent performance effortlessly revealed a multidimensional woman who was still a role model for many. It was respectful, rather than downtrodden (and it really could have gone either way). That’s not to say Tina didn’t become a punching bag for Ike in the movie. The fast-talking, egotistical producer and bandleader often battled with drugs, money woes and a failed solo career, so whenever he got really burned up about things, he’d take them out on Tina every chance he had. Struggling with his own demons and crushed dreams, he decided to take out his aggression on his wife, and attempt to dash her ambitions. But regardless of what Ike tried to do to Tina, we never saw her broken afterwards. She got right back into that recording studio and belted out some of the classic tunes we still listen to today. She got back up and perfected that firm “I’m okay” smile for her friends and family, and remained a rock for her children. Because, as Lena Horne once said, “it’s not the load that breaks you down; it’s the way you carry it.” She never let Ike or anyone else see her down; she got right back up. It also helped that she had an edge on Ike that he wasn’t willing to admit, one that made them look more like world class fighters in a ring, rather than one champion and one lightweight. In many films, we often see the female as the victim, the weakling, the one who can’t defend herself, has no mind of her own and is led to believe she is nothing without her abuser. In other words, the abuser is always seen as the dominant figure in the relationship. But in What’s Love Got to Do With It?, we’re watching two very fierce characters, Tina and her husband Ike, fight a very similar fight against each other. Where Ike uses physical force and brutality to control Tina, Tina uses her unyielding emotional strength and supersized talent to ultimately eclipse Ike. Bassett’s was not only one of the defining performances for women in cinema; it was also one that became a benchmark for actresses of color. Her riveting portrayal role was further punctuated by the remarkable writing. Many lead roles for women of color since then are often subordinate characters. And in many other instances, they’re the tough, ever wise figures, which don’t often allow them inhabit any other emotion. Even in the heavily lauded yet divisive drama, The Help, we saw the stories of two African-American characters glossed over and unrealized, lacking the measure of which they were worthy. Overall, too many roles written for African-American actresses have them simply orbiting around the larger story of the movie without actually being a part of it and making any real impact. Nearly two decades later, Bassett’s performance still stands as one that turnhttp://www.blogger.com/img/blank.gifs all of that on its ear by actualizing all the those things a woman (of any color) can be—timid yet fierce, bold yet shy, loud yet subdued, happy yet sad—all at once. It’s a feast of emotions, and one which as a female viewer you crave to watch. We yearn to see it unfold and go through those same emotions along with Bassett in the movie, and she delivers. She takes a celebrated icon and gently peels away her tough outer layer to reveal a vulnerable inner core that so desperately screamed to be unchained. It is heartbreaking story, but one in which few tears are shed, but ultimately turns into a victory dance. You can’t help but to want to dance with her.